Mafia Island Marine Park has some of the highest marine biodiversity on the planet. There are all sorts of weird and wonderful creatures to be seen - one of my favourites is the flying gurnard! This is a seriously cool fish. It’s easy to prevent ear barotrauma if you follow the proper precautions and procedures. Here we aim to help divers learn more about these injuries, and how to keep them from happening. Everyone knows that you aren’t supposed to dive with a cold — it’s one of the tenets stressed most heavily during entry-level training. But it’s a rule that divers often ignore — or try to bypass — by using decongestants because sometimes we just can’t resist getting in the water. I used to be one of the guilty parties until my actions caught up with me; I suffered a barotrauma of the middle ear as a result. Why Does Barotrauma Occur?In order to understand ear barotrauma, it’s important to first understand the anatomy of the human ear. Our ears are comprised of three sections: the outer ear and two internal sections known as the middle and inner ear. The part of the ear that we see is called the auricle, which channels sound (and during a dive, water) into the ear. The ear hole opens into a canal, at the end of which is the eardrum. Also known as the tympanic membrane, the eardrum separates the outer ear from the middle ear, a section filled with air that contains the three tiny bones that conduct sound, the ossicles. Importantly for understanding barotrauma, the middle ear is connected to the back of the throat by the Eustachian tubes. When we equalize during a descent, air passes along these tubes to balance the pressure inside the middle ear with the ambient pressure acting on the other (outer) side of the eardrum. The middle ear is separated at its other end from the inner ear by two exceptionally thin membranes known as the round window and the oval window. If these membranes become perforated, fluid can leak from the inner ear into the middle ear, causing considerable damage. Preventing BarotraumaAccording to Boyle’s Law, as ambient pressure increases, a gas-filled volume in contact with that pressure decreases, and vice versa. This is the physical law relating to ear barotrauma, which occurs when increasing ambient pressure on the descent (or decreasing ambient pressure on the ascent) causes the volume of the gas-filled spaces in the ear to either contract or expand. As the spaces change, the sensitive tissues that make up the ear are distorted, eventually causing them to become damaged. In order to prevent injury, it’s important that the gas spaces inside the ear are kept equalized, i.e., at an equal pressure to the water entering the outer ear. A pressure difference of just 2 psi is sufficient to cause significant discomfort, while a difference of 5 psi is enough to cause the eardrum to rupture. A barotrauma can occur at any depth, but because the greatest pressure change per foot occurs in shallow water, a diver is most susceptible to this kind of injury in the first 14 feet of a descent from the surface. This explains why we are taught to equalize early and often, and because ambient pressure continues to change as we descend, we need to equalize every few feet to prevent a pressure imbalance. The Dangers of DecongestantAlthough these injuries are most common on the descent, it is also possible for them to occur on ascent, particularly if a diver has taken decongestion medication that has subsequently worn off. As we ascend and the ambient pressure decreases, the gas in the middle ear expands. If the Eustachian tubes have become blocked due to congestion, this expanding air cannot escape and the membranes at either end of the middle ear compartment are liable to distort or even rupture as a result. This situation, known as a reverse block, is how I suffered middle-ear barotrauma. It was incredibly scary: already at depth, I had no choice but to surface eventually. I tried delaying my ascent, descending a few feet and giving the trapped air time to escape, but ultimately I was forced by air and no-decompression limits to ascend despite knowing that doing so would cause an injury. The resulting barotrauma was undoubtedly the worst pain I have ever experienced (including multiple broken bones), and converted me in the space of one dive from a reckless congestion diver to one with a healthy respect for the rules. The most common is middle-ear barotrauma, usually caused by ineffective or failed equalization, or a blockage of the Eustachian tubes. It is characterized by an inability to equate the pressure in the middle ear to that of the surrounding water pressure, resulting in the creation of a vacuum on descent, or a build-up of pressure on the ascent. The eardrum and the tissues of the middle ear sustain damage, causing the compartment to fill with blood and fluids. Symptoms include a feeling of fullness inside the ear, hearing that is either muffled or lost completely, and an eardrum that appears red and either swollen outwards or retracted inwards. Usually, these symptoms will develop upon surfacing, but can appear several hours later. Inner-ear barotrauma typically occurs when divers equalize too forcefully or cannot equalize at all. The practice of holding the nose and blowing is known as a Valsalva maneuver. If performed too hard when the Eustachian tubes are blocked, the fluid in the inner ear becomes over pressurized, causing the round window to rupture. Inner-ear barotrauma can also occur if a diver fails to equalize on the descent. In that case, the vacuum created in the middle ear affects not only the eardrum but the oval window as well. If the oval window contracts too far towards the middle ear, the ossicles can puncture it, causing fluid to enter the middle ear. Symptoms of this kind of barotrauma include sudden vertigo, vomiting, a roaring sound in the ears and hearing loss. Outer-ear barotrauma occurs when the ear canal itself is blocked, possibly by a tight-fitting hood, ear buds, or earwax buildup. The obstruction creates an air pocket between itself and the eardrum, which turns into a vacuum as ambient pressure increases. This can cause the superficial rupture of blood vessels in the ear canal or, more seriously, damage to or perforation of the eardrum itself. Typical symptoms of this kind of barotrauma include bleeding and seeping fluids from the ear, and possible hearing loss. If you suspect this kind of barotrauma, you should not put any kind of drops in your ear, as the barrier between your outer and middle ear has now been compromised and liquid entering the middle ear will cause extreme vertigo. FORT LAUDERDALE, Fla. – The 8th annual, 2015 Blue Wild Ocean Adventure and Marine Art Expo is set to take place at the Greater Fort Lauderdale/Broward County Convention Center from February 21 to 22. Spanning more than 80,000 square feet of exhibit space and featuring more than 130 exhibitors, inside and out, the interactive Expo will include exhibits, seminars, workshops and demonstrations covering freediving, scuba diving, spearfishing, lobstering, board sports, underwater photography, videography, and marine art. New additions to this year’s event includean outdoor Adventure Zone featuring two large pools where guests can try out new water toys and take part in professional demonstrations including kayaking, stand up paddleboarding (SUP), and breath-hold techniques. Additional attractions include swimwear fashion shows and a display from Contender Boats. Speakers include Emmy Award winning filmmaker Stan Waterman; outdoorsman and TV star Manny Puig, spearfishing champion and whale videographer Rob Torelli from Australia, shipwreck explorer Mike Barnette, and others. Marine artists including Carey Chen, Pascal Lecocq, Randall Scott, Steve Ozment, Craig Dietrich, Don Ray, K.C. Scott, displaying a huge selection of marine-themed artwork. Admission is $23 at the door. Kids 12 and under are free. Admission includes entry to the Saturday night Blue Wild After Party at the Courtyard Marriott Fort Lauderdale Beach where guests can mingle with industry experts, celebrities, and enjoy BBQ and happy hour specials. Show hours are 10 a.m. to 7 p.m. on Saturday and Sunday. The Blue Wild After Party is from 7:30 to 11 p.m. For more information please visit TheBlueWild.com. Like The Blue Wild Ocean Adventure and Marine Art Expo on Facebook at Facebook.com/TheBlueWild. (WreckDiving is a type of recreational diving where shipwrecks are explored. Although most wreck dive sites are at shipwrecks, there is an increasing trend to scuttle retired ships to create artificial reef sites. Wreck diving can also pertain to diving to crashed aircraft. Sources: Wikipedia on Wreck Diving and www.padi.com/blog posted by Megan, PADI MSDT and diver for 10+ years, eMarketing executive for PADI Americas. To some, scuba diving may seem like a pipe dream adventure, but thereâs no reason why it canât be a reality. Here are reasons why you should jump into the deep sea and act on your drive to dive. To some, scuba diving may seem like a pipe dream adventure, but there's no reason why it can't be a reality. 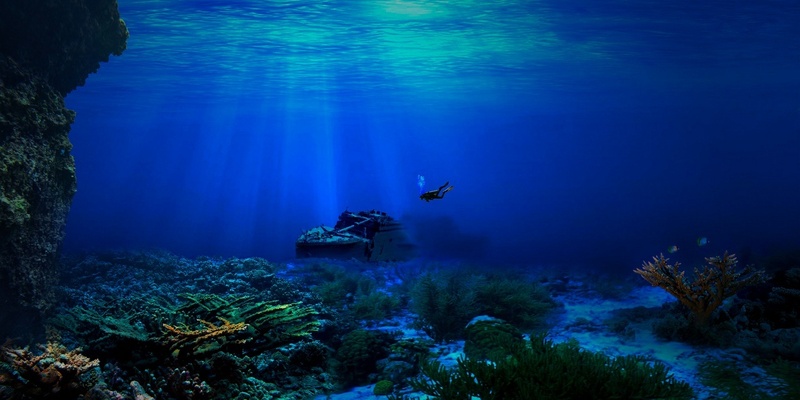 Here are reasons why you should jump into the deep sea and act on your drive to dive. Scuba diving is the best way for aquatic amateurs to experience life under the sea. Minimal experience is needed to master itâyou just need to know how to breathe and to swim (check and check). Because of neutral buoyancy, scuba diving makes you feel like you are soaring in the deep sea. It's the closest you'll come to that floating sensation of being in outer space on earth. No, ghost fishing has nothing to do with ghostbusters flicking fishing rods from a boat. But what is ghost fishing? It's a not-at-all-supernatural phenomenon that occurs when lost or discarded fishing gear remains in the ocean and continues doing what it was made to do: catch fish. These nets and traps haunt the many types of marine life unlucky enough to become snared in them. That includes species of turtles, fish, sharks, lobsters, crabs, seabirds, and marine mammals. Fortunately, the NOAA Marine Debris Program isn't scared off by a few fishing nets that haven't moved on from the underwater world. For example, through the Fishing for Energy partnership, NOAA is funding projects to study and test ways to keep fishers from losing their gear in the first place and lower the impacts lost gear has on marine life and their homes. You can learn more about these four recent projectswhich are taking place from the South Carolina coast to Washington's Puget Sound. A project at the Virginia Institute of Marine Science at The College of William and Mary will pay commercial fishermen to test special biodegradable panels on crab pots. After a certain amount of time underwater, these panels will break down and begin allowing creatures to escape from the traps. If successful, this feature could help reduce the traps' ghost fishing potential. The researchers also will be examining whether terrapin turtles, a declining species often accidentally drowned in crab pots, will bypass the traps based on the color of the entrance funnel. Another, unrelated effort which NOAA and many others have been supporting for years is focused on fishing out the thousands of old salmon nets lost—sometimes decades ago—in Washington's Puget Sound. These plastic mesh nets sometimes remain drifting in the water column, while other times settling on the seafloor, where they also degrade the bottom habitat. According to Joan Drinkwin of the Northwest Straits Foundation, the organization leading the effort, "They become traps for fish, diving birds, and mammals. Small fish will dart in and out of the mesh and predators will go after those fish and become captured in the nets. And as those animals get captured in the nets, they become bait for more scavengers." You can watch a video about this ongoing project produced by NOAA-affiliate Oregon SeaGrant to learn more about both the problem and the solutions. Thousands of miles away from the Pacific Northwest, ghost nets are also an issue for the otherwise vibrant coral reefs of the Northwestern Hawaiian Islands. Every year for nearly two decades, NOAA has been removing the lost fishing nets which pile up on the atolls and small islands. This year, divers cleared away 57 tons of old fishing nets and plastic debris. One particularly troubling "super net" found this year measured 28 feet by 7 feet and weighed 11.5 tons. It had crushed coral at Pearl and Hermes Atoll and was so massive that divers had to cut it into three sections to be towed individually back to the main NOAA ship. During this year's mission, divers also managed to free three protected green sea turtles which were trapped in various nets. But the origins of this huge and regular flow of old fishing nets to the Northwestern Hawaiian Islands remain a mystery. The islands lay hundreds of miles from any city but also within an area where oceanic and atmospheric forces converge to accumulate marine debris from all over the Pacific Ocean. "You'll go out there to this remote place and pull tons of this stuff off a reef," comments Jim Potemra, an oceanographer at the University of Hawaii at Mānoa, "that's like going to Antarctica and finding two tons of soda cans." You can learn more about the NOAA Marine Debris Program’s efforts related to ghost fishing and why certain types of marine life may be more likely to get tangled up in discarded nets and other ocean trash. A Miami man who has been arrested multiple times for having undersized lobster tails is behind bars once again and could have a tough time getting out after his bond was set at $1.4 million. Jorge Vargas, 59, was arrested Saturday after he was caught with more than 200 undersized lobster tails near Fiesta Key Marina, the Monroe County Sheriff's Office said. We know less about our deepest waters than we know about the surface of Mars. Hereâs what we do know about deep water diving. We know less about our deepest waters than we know about the surface of Mars. Here's what we do know about deep water diving. What Qualifies as Deep Water Diving? Recreational diving, according to PADI, is diving from anywhere of 18-40 meters (60-130 feet). 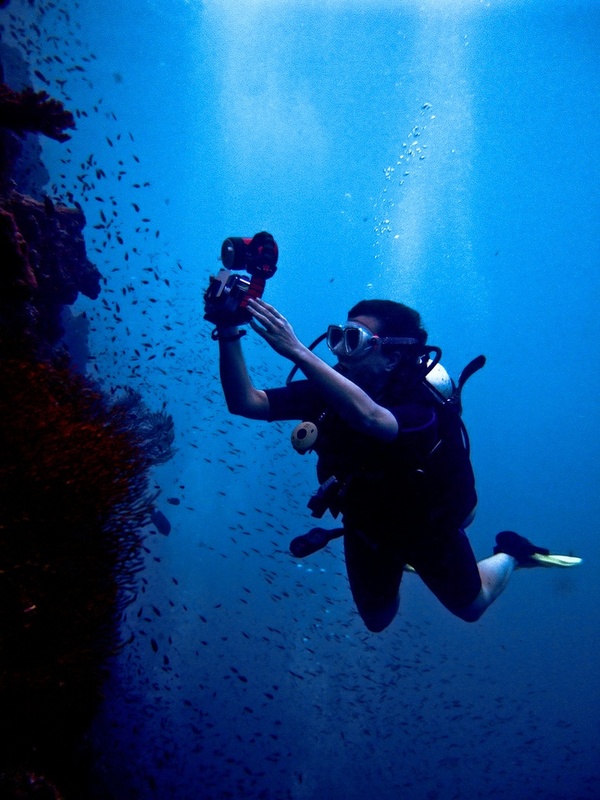 Professional diving defines it as requiring special equipment, procedures or training. Egyptian scuba diver Ahmed Gabr descended to 332.35 meters (1066 feet) on September 18, 2014. It took him 14 hours to decompress.